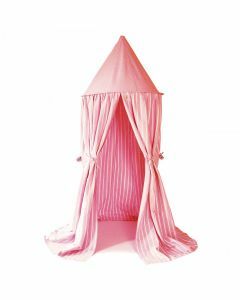 Role play an adventure with this magical tent. A perfect playtime setting with accents of red and yellow. Enhance a child\'s imagination by having them wear a costume and camp in the tent. Or invite friends over to host a ceremony. Click on images for greater detail.